It's looking like it's going to be a lovely day today, so should be great weather for a picnic! Today I thought I'd bring Annabelle. She was a doll I found in a magazine - not sure which one. 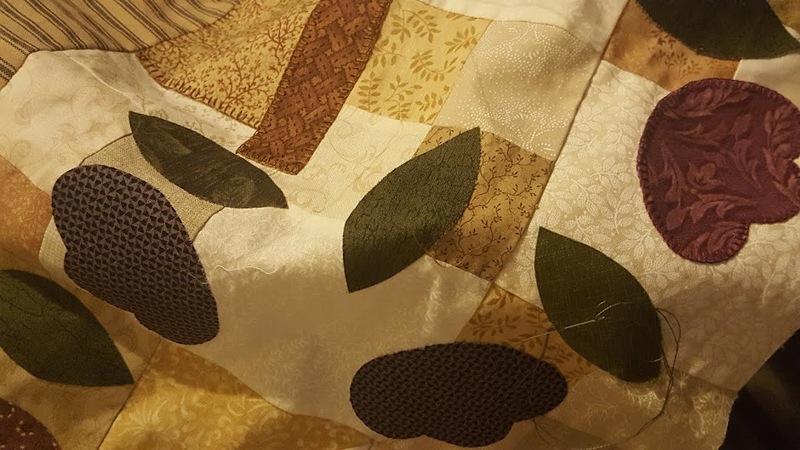 Possibly Patchwork and Stitching. I loved the way she looked in the pictures and I found that when I was making her, she just came together beautifully. She was the first doll that I made totally independently that I was really happy with. As a last minute decision I put her in our local show and she won First Prize. So she became even more special to me. Annabelle is looking forward to meeting all the other dolls and teddies today. Happy Teddy Bears Picnic!! Annabelle is very sweet. I'm sure all the other teddies and dolls will love her. Congratulations on your win for her. Well done. Lovely Annabelle! She has a very sweet face. And I love your flowers in your last post, especially the black and white. I think pink would look wonderful in the last flower. Hi Marg. Annabelle is a lovely doll. Gorgeous face and I do like her pinafore. Congratulations on winning first prize. Annabelle looks a lovely Country Girl, in her pretty check dress and Pinny with the hearts, I'm glad it was such a nice day for her picnic. Cheers R.
So lovely to have delightful Annabelle on the picnic today. Thank you. Thanks for letting us picnic with your award winning doll - Annabelle is such a pretty girl. Annabelle is just sweet and I am not surprised she won first prize , hope she enjoyed the picnic.